Artists and creative professionals are change agents. 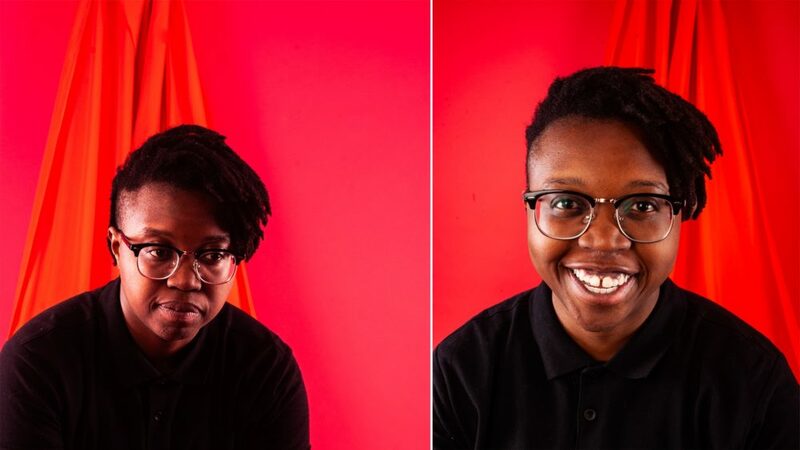 They provide us with fresh ideas on old quandaries, from racial equity and gentrification to gender identity. Those ideas then shape our culture. Culture forms public attitudes. Public attitudes help mold our policy and legislation. In Boston, there's a palpable surge of new artistic energy. 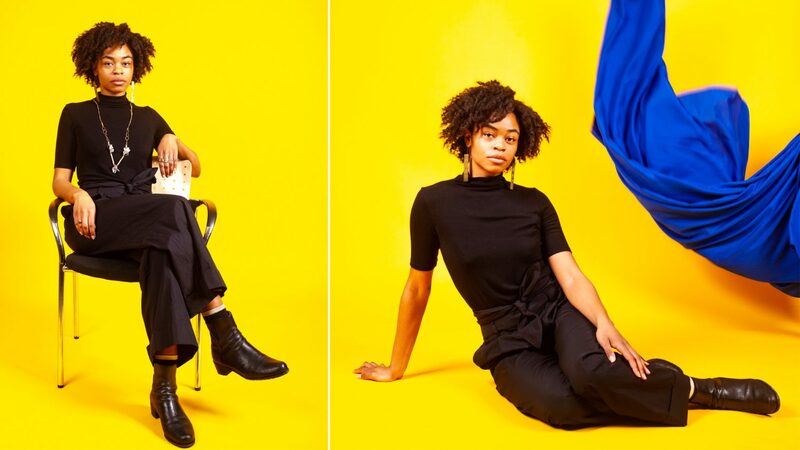 A daring cohort of young creatives is molding the city's cultural ecosystem in promising ways. Their ascension comes at a time when the city is ripe for an artistic renaissance, which is in part due to a committed financial investment in culture. Just last week, the city of Boston and the Boston Cultural Council awarded $487,000 to 221 arts organizations, the largest ever investment in local arts by the city. 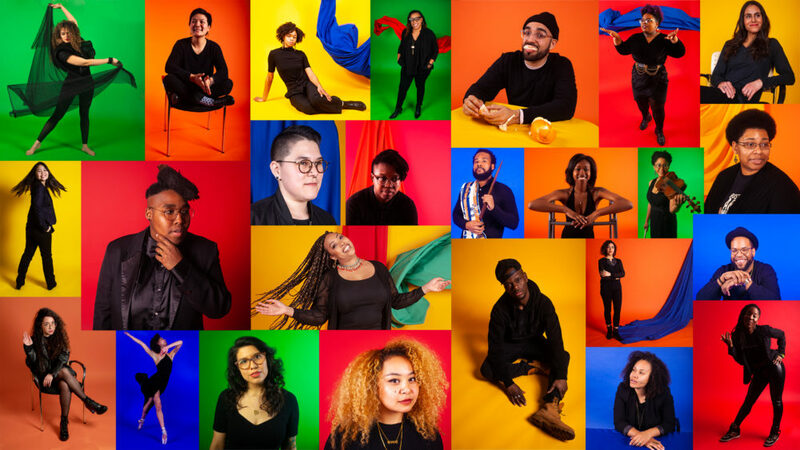 The Boston and Barr foundations' Live Arts Boston (LAB) grants have awarded $1.5 million for local artists, 70 percent of whom are people of color, the last couple of years and are slated to announce their third round of awardees very soon. These new financial injections into the arts supplement longstanding funding mechanisms. In fiscal year 2019, the Mass Cultural Council has awarded $613,000 to individual artists and $5.9 million to nonprofit cultural organizations. Last fiscal year, the New England Foundation for the Arts gave $3.75 million to hundreds of artists and organizations. Together, these investments to the arts have served as a jolt to the cultural scene. They've fomented a vibrant landscape in which more artists have the tools to create, to take risks, to think big. But there's something deeper at play, too. A new generation of creative professionals is growing into its power. These artists are rigorous but not tradition-bound, informed by the canon but not tethered to it. And they operate in both grassroots scenes and in storied institutions. With The ARTery 25, we sought to capture the spirit of this new Boston. We focused on young people of color, recognizing that diverse creatives have historically been under-credited, underfunded or unnoticed. Cultural equity requires intentionality. We asked cultural institutions to nominate individuals in their orbit. We also searched in overlooked corners of the city. And we deliberated as a staff for weeks, narrowing down based on an individual's impact, innovation and rigor. This is not a comprehensive list. It's a subjective, curated guide put together by fallible humans. Curation inherently means leaving even worthy people out. We hope you will also share other creatives we should be watching in the comment section below. Some of the individuals we chose you will have heard of, others will be a discovery. All of them are worth keeping an eye out for in the next year. *Click on a name to jump to their bio lower on this page. Nepal-born Sneha Shrestha has become an unofficial ambassador for her tiny country across the world. Her pioneering street art practice marries Nepali Sanskrit with American graffiti to stunning effect. Shrestha’s street name, “Imagine,” is her mother’s translated into English. These days it graces mammoth murals in cities around the world including Istanbul, Copenhagen and San Francisco. Lucky for us, the largest number of Shrestha’s works are in Massachusetts (from Worcester to Lynn to Boston), where she found her calling. Shrestha went to Gettysburg College before moving to Boston. Once here, she began working at the creative nonprofit Artists for Humanity. That's where she met co-founder Rob “ProBlak” Gibbs, who introduced her to the power of both mentorship and graffiti writing. Now Shrestha swings steady lines with bright colors to make “mindful mantras” that invite us to stop, ponder and talk. Her works on paper and canvas have activated art galleries and museums, too. Her big-picture mission is to share ideas. She earned a master’s degree in education at Harvard and opened Nepal’s first children’s art museum. She's been bouncing between residencies with the city of Boston and the Museum of Fine Art’s education department, her job managing visiting artists at Harvard’ Southeast Asia Institute, mentoring projects at MassArt and a new solo exhibition at Simmons University. With her boundless energy, spirit and vision, there’s no doubt there will be a lot boundary-pushing in Imagine’s future. Tory Bullock is all over the internet. If you’re a local teacher or student, chances are you’ve seen footage of him cavorting through the streets of Boston after the city announced a snow day. If you care about social justice, maybe you’ve watched him opine about gentrification. If you’re a commuter, you might have chuckled when he “broke up” with the increasingly decrepit and costly MBTA. Whether he is amiably venting about the challenges of living in Boston — the weather, bad drivers, casual racism — or aiming a pointed critique at the city, Bullock reliably engages an online audience in the tens of thousands. A native of Dorchester, Bullock’s first love was acting. He graduated from the Boston Arts Academy and almost immediately placed a show at Company One Theatre. But Bullock wanted to make a bigger impact. When a video he made in response to the killing of Michael Brown went viral, he knew he had found his medium. Bullock’s exploits increasingly take him out into the real world. Recently, he funneled his frustration with rising housing costs into a piece of interactive public art called "The Gentrification Game" in which visitors were invited to “play” a game blatantly rigged to favor a select few. He is planning to bring "The Gentrification Game" to Boston-area community programs, and just finished a pilot for a local late night program. Whatever he cooks up next, be it politically charged public art or hyper-local entertainment, it will undoubtedly spark conversation in your social media feed. 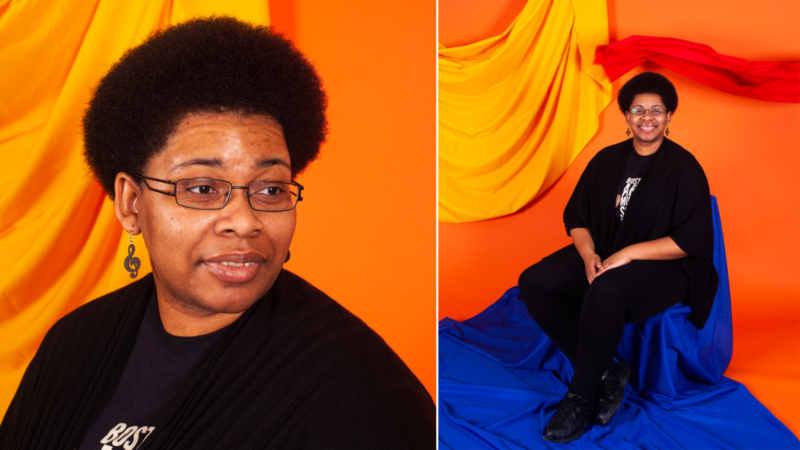 “I’m an empathic, sensitive Gemini,” visual artist Alexandria Smith says with a laugh when asked about how the year 2018 started off. “I was giving too much space, to people and to things, that just weren’t fulfilling me in the ways that I needed.” It was a hard lesson to learn, she admits, but letting go was one of the most transformative things she put into action last year. Leaning into releasing helped Smith usher in and appreciate new, exciting opportunities for herself and her art. Her most recent work, large canvas paintings that are figurative and abstract all at once, employs a rich palette of black, blues, purples and grays that form dual female forms, aesthetically nodding to pop art but singularly Smith's. From there, things began to readily manifest in ways that propelled Smith’s art forward. “I was invited to participate in my first museum show, a group show, at MASS MoCA,” says Smith. “I just needed that one curator, who was Susan Cross, who really saw and appreciated my work.” Another exhibit of Smith’s, titled “A Litany for Survival,” was featured at Boston University’s Stone Gallery. Smith, who has been teaching art at Wellesley College for the past three years, is looking forward to 2019 and stepping firmly onto the artistic path she’s cultivated. Aside from teaching students about the intricacies of art, Smith has exciting exhibits coming up in New York and potentially Chicago. “Everything that matters in life means taking a huge leap of faith,” Smith says. This year is the year she makes those leaps. Last spring, Chyrstyn Fentroy, a second soloist in the Boston Ballet, faced a difficult choice. The company was performing its "Classic Balanchine" program and one of the pieces, "Chaconne," required the women to dance with their hair unbound and free-flowing. Fentroy, the only African-American woman in the company, was asked if she'd like to wear a wig to blend in. She did. It was a mutual choice, she explains. For the first two shows of the run, she constrained her tight curls into the wig. She says she "felt ugly," a rather painful sting considering the piece was also meant as a celebration of natural beauty. By the third performance, she dropped the wig and performed with her natural hair. "I have never felt so proud and so beautiful,” she recalled. “I feel since then I've really kind of started to come into myself and just be accepting of who I am as an artist and as a person and how they blend together." In just over a year and a half with the company, Fentroy has established herself as a disciplined, ascending dancer. In 2018 she was promoted from artist to second soloist. She's also the first Black woman to join the Boston Ballet in a decade. 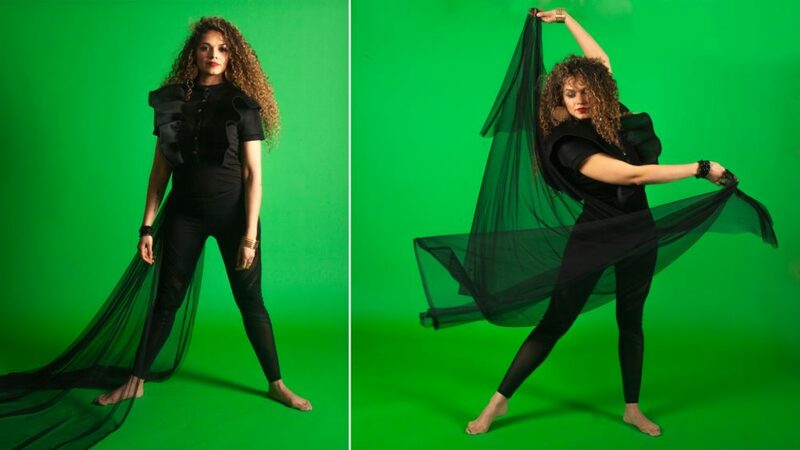 In the world premiere of famed choreographer's William Forsythe's "Playlist (EP)" this year, Fentroy stood out on stage during a particularly striking performance to Khalid's pop R&B hit "Location." Each of her movements was infused with a singular musicality and a precise emotive quality. It's no wonder Fentroy has been chosen for fairly high profile performances and why Forsythe is particularly taken by her movement. Rashin Fahandej was born in the midst of revolution as Ayatollah Khomeini turned Iran into an Islamic Republic. The artist and filmmaker migrated to the United States as a refugee because she is Bahá'í, a religious group that is persecuted in Iran. She centers her work around themes of social justice, blending technology and art. She works in a diversity of media, including feature documentary film, video/sound installations, performance, relational art, photography and painting. Her art has been exhibited and broadcasted internationally. She’s worked on paintings and short films on women’s rights in Iran. In Boston, Fahandej built a video and audio installation that features men singing lullabies and telling childhood stories and highlights the experiences of formerly incarcerated fathers. Two documentary films, a part of her ongoing “Marginalia” series, tell the stories of Iranian Bahá'ís abroad. She served as artistic director of the Rebuilding the Gwozdziec Synagogue at POLIN Museum of the History of Polish Jews. With her work, Fahandej said she aims to create an encounter where preconceived notions of "otherness" collapse and beliefs held about each other and ourselves are put into question. 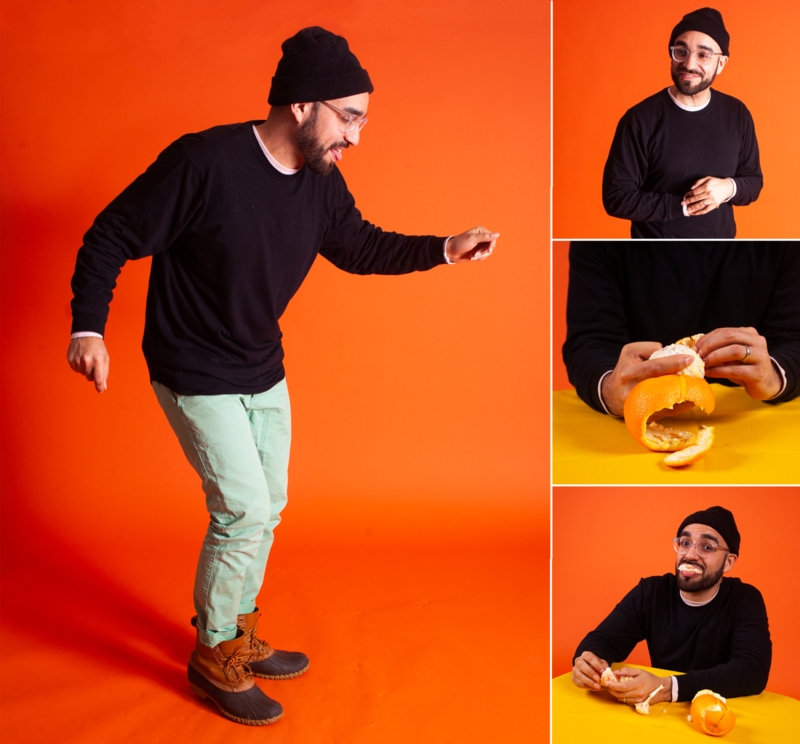 Fahandej currently is a research fellow at MIT Open Documentary Lab and a visiting faculty at MassArt. 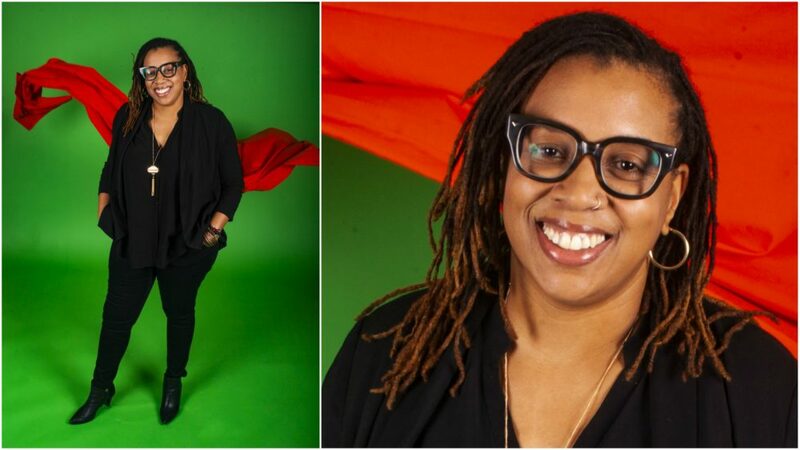 She was an artist-in-residence for the city of Boston in 2017, a public art resident at the Boston Center for the Arts in 2018, and is the recipient of the Institute of Contemporary Art’s prestigious James and Audrey Foster Prize already this year. Lyndsay Allyn Cox is all about being #hellablack. As the Boston Center for the Arts' director of theater arts, she oversees all BCA-sanctioned theater programs, including residencies to create new work. 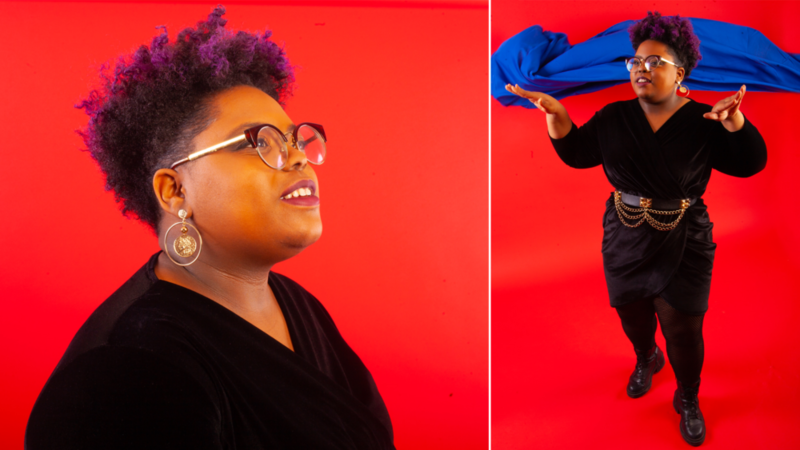 She also curates performing arts events, like her well-attended and popularly received #hellablack, which centered Black artistry and Black expression from Boston artists. "I couldn't believe that they let me do that and name the event hellablack," she says with a signature, hardy laugh. If you're surprised that an arts administrator looks really familiar, it's because you've likely seen Cox on stage over the past decade. She's been acting and freelance directing with Boston and Cambridge theater companies for the last 12 years. Perhaps you saw her in the all-Black cast of the "Leftovers" with Company One at the Strand Theatre or "Men On Boats" with SpeakEasy. This summer, she'll star in "Three Musketeers" with the Front Porch Arts Collective and the Greater Boston Stage Company. As an actor, she realized how difficult it was for smaller and medium-sized theater companies to take artistic risks. Many of them were forced to play it safe and produce risk-averse crowd-pleasing productions. The reason? There was no financial wiggle room to experiment, considering the stifling costs of rehearsal and performance space. This recycling of the accepted theater canon halts creativity, she says. So Cox proposed a radical new idea to the BCA: Walk the talk. Under her leadership, the BCA implemented tiered pricing based on a performing arts company's operating budget, reducing the rental costs for two of its stages. "It's vital for me to give back to the community that fostered me as an actor and an artist," she says. 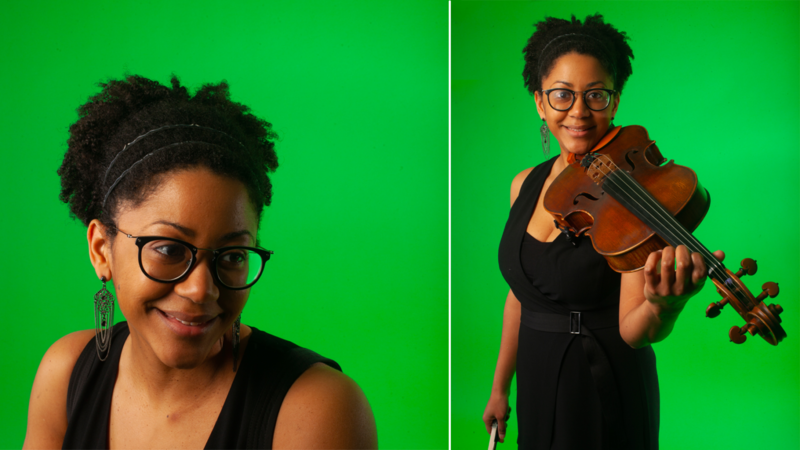 A few years ago, Ashleigh Gordon, a classically trained violist, and her friend Anthony Green, a pianist, tried to name every Black composer they could think of. Between the two of them, they could only name a handful — and Green was one of them. Castle of Our Skins commissions pieces from musicians inspired by Black culture and heritage. It also puts on special performances, from libraries to concert halls. 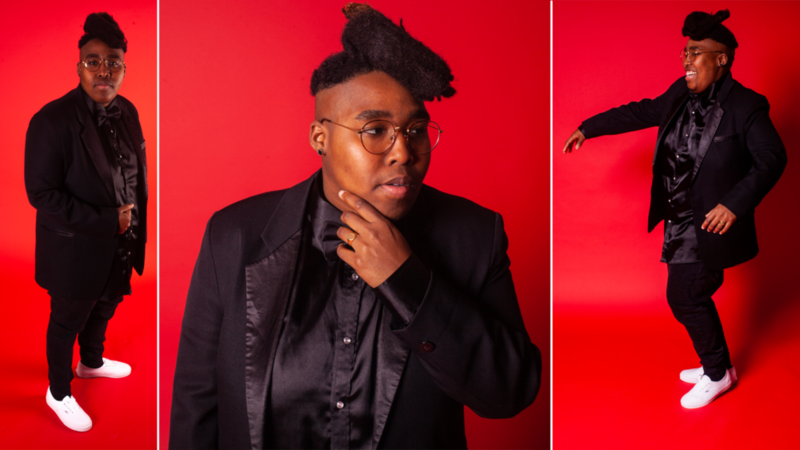 Last year, Gordon organized "Ain't I a Woman," a program celebrating Black women composers and this summer, she's planning "I AM A MAN," a week of concerts and other programming exploring Black composers and issues of masculinity. Gordon says Castle of Our Skins was born out of necessity, an urgent action to right the wrongs of history. "I would love for Castle of Our Skins to not have to exist," she says. "I really just want to play beautiful music." 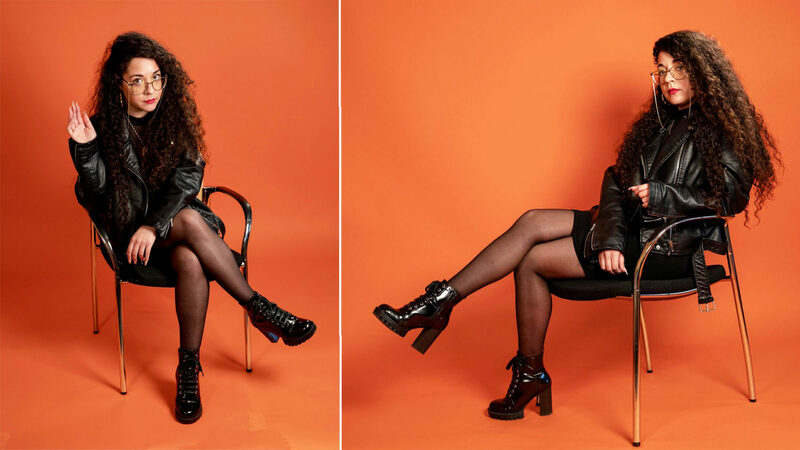 Chanel Thervil spent a good amount of her time in 2018 experimenting and pushing the borders of her artistic style. Her artwork, often crafted from pieces of wood, paint and other mixed media materials, took on a distinctive voice that criticized systems of oppression. Her solo show "Enigma," up now at Urbano Project, consists of portraits of young Bostonians of color that at first appear uplifting but upon further analysis, reveal the subjects grimacing or uneasy — a nod to the uncomfortable moment between experiencing subtle racism and reacting to it. Her solo show came at a time of self-advocacy. “Last year was the year that I accepted walking into fulfilling my purpose,” Thervil says. Now, Thervil is operating from a place of certainty, comfortable in her belief that no matter the unknown, amazing things are coming her way. Last year, Thervil showed her artwork alongside one of her mentors. “It felt surreal to have my work beside the work of people that inspire me,” she says. Her work was also featured in “Nine Moments For Now” at The Cooper Gallery at Harvard University. Allison Maria Rodriguez's video installations are whimsical and dark, alluring and alarming, beautiful and mournful. She uses drawing, collage, photography and animation to create fantastical worlds that sometimes convey the demise of our own. She delves deep into environmental loss, transmitting the urgency of endangered animals, ways of life, entire islands. And in her colorful video landscapes, there is pain, and often trauma. When she created her resplendent "Wish You Were Here: Greetings from the Galápagos," on view at the Dorchester Art Project last year, she says she did so with a void in her stomach and a knot in her throat — acutely aware that human activity could soon decimate the island and all of the majesty could be gone forever. What is so captivating about Rodriguez's work is how she captures trauma in the most aesthetically exquisite of ways. Her art is unapologetically dazzling. A menacing truth lies in the magical realism of the images she creates. For her upcoming exhibit, "Legends Breathe," Rodriquez interviewed 13 female-identified artists and creatives about the power of imagination to overcome trauma. To her surprise, all of the artists' survival fantasies had an aspect of nature. Mining these interview, Rodriguez will then create an interactive installation, slated for Villa Victoria in September. Rodriguez is also a curator. In December, she organized, "Breaking The Rules" at SoWa's Fountain Street Gallery and will curate another show there in May. Organized around the requirement of the artist to diverge from their own practice in a personal, but critical way, Rodriguez’s curatorial and discerning eye shined. Looking at her artwork, it's clear Rodriguez is among the most rigorous and aesthetically singular visual artists in New England. 2018 was a year that oscillated between some setbacks and triumphs for Patterson. 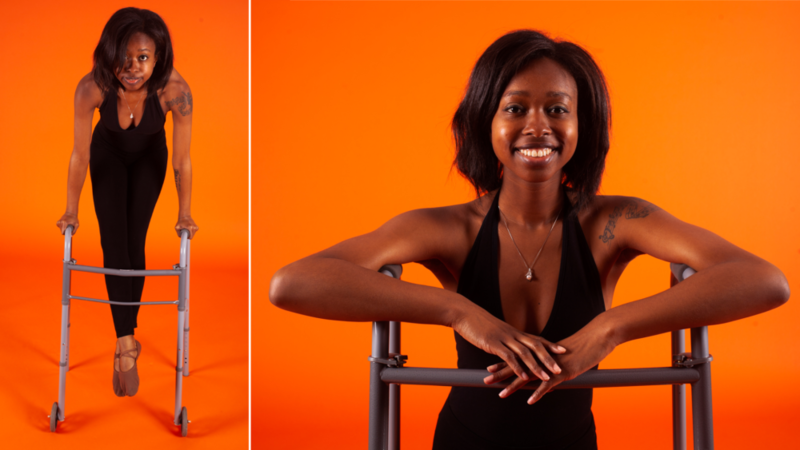 She found that outdated attitudes about disability prevented Abilities Dance from receiving funding with some of the reasons being “that I didn't look like I had a disability and I dance too well to have a disability,” she explains. Receiving a Live Arts Boston grant from the Boston and Barr foundations was an exciting contrast to the previous rejections. “It's really validating to know that there are some who support the work that you're dealing,” Patterson says. Jha D is both a literal architect and a social architect. As a senior associate for MASS Design Group, she has been practicing architecture for several years, designing space for physical congregation. Her latest project is the King Boston Memorial, for which she helped articulate the vision, build models and manage the conceptual framework. “Society often underestimates how much the built environment affects the collective consciousness of a community. The way our surroundings are built can be vehicles for equity and social justice,” she says. Jha D first came to architecture as a pragmatic choice. It seemed like a fine enough career in the haze of picking a college major. But after realizing how anomalous she was — a Black, female architect — she stayed in the field partly to pave a way. Jha D also designs social and metaphorical space with her long-standing "If you can Feel it, you can Speak it" open mic night that has become a de facto institution of Boston's cultural scene. When she was 19 years old, Jha D tried going to slam poetry nights in the Cambridge scene, but she felt there was something off. "I kept feeling like the kinds of poems I was reading, the kind of truth I was speaking as a queer, woman of color would fall on deaf ears." The experience inspired her to create "If you Feel it, you can Speak it," which aims to center the experiences of queer folks of color. Because of the high-profile nature of her open mic night, Jha D has also become an unintentional-turned-intentional community organizer, creating spaces outside of her open mic night that utilize art as a means of social change. 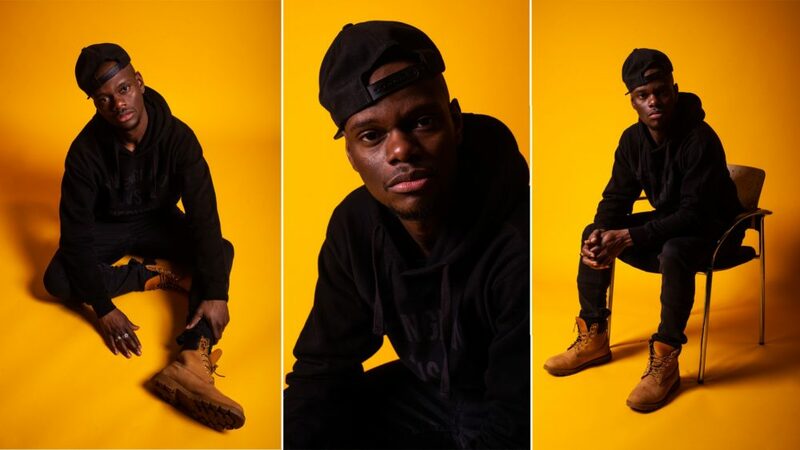 Last year, rapper Billy Dean Thomas learned that they hadn’t been selected as one of the recipients of Harvard University’s Nasir Jones Hip-Hop Fellowship. What followed was a mix of emotions, ranging from ambivalence to disappointment. “At one point, I was really sad about it,” Thomas said. “I just felt like the fellowship was me; it embodied what I am as an artist.” Thomas, a spit fire rapper who is originally from New York, used that disappointment as fuel for 2018. “I learned a lot about myself during that period,” they say. Although “American Gothic” was successful, Thomas gained a new appreciation for more intimate, acoustic driven performances. “You learn that what you want isn’t necessarily what you need,” they say. 2019 is the year that Thomas takes a step back to focus on the raw emotion of their music, fine tuning it in ways that will expand its resonance. The daughter of a Colombian father and a Mexican-American mother, Layla Bermeo grew up going to museums, but it was only after graduating from college that she realized curating could be an actual career. Now, she serves as the assistant curator of American paintings at the Museum of Fine Arts. And this year, she experienced a milestone: her first solo exhibition as a curator. "Frida Kahlo and Arte Popular," an exhibition that explores Kahlo's artistry more than the tired tropes of her biography — often labeled voyeuristically as tragic — has proven to be wildly popular. But what has been the most rewarding for Bermeo has been the engagement from other Latino workers in the museum, from food workers to security guards, who ventured to the galleries for the first time to check out her exhibition. "If I can do something to break down those barriers, I would, if it meant making people feel like that museum is theirs.” Bermeo is part of a very small group. Only five percent of curators at cultural institutions nationwide are Latino, according to a 2018 study by the Andrew W. Mellon Foundation. Paloma Valenzuela is not interested in epic tales. She wants the regular shmegular stories about people like her — a half Dominican, half Jewish woman who grew up in Jamaica Plain. "I hadn't seen my experiences in Boston reflected in the mainstream media so I decided to create something that was authentic and fun," she says. Valenzuela is the creator of the lo-fi web series "The Pineapple Diaries," a quirky, often absurd exploration into the quotidian lives of three best friends — all women of color — and their next door neighbor in Jamaica Plain. 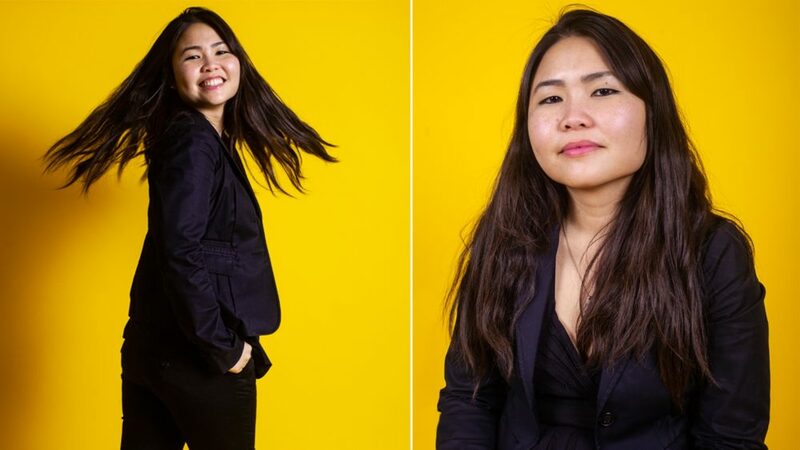 Valenzuela, a Boston Arts Academy and Emerson College grad, went to Los Angeles after graduation to work in film production, followed by the Dominican Republic for five years to reconnect with her culture — but she felt called back to Boston by 2014. She yearned for the Dominican diaspora community she'd grown up around, filled with bachata-playing restaurants in what's now called the Latin Quarter. And she sought to capture the vibrant Boston she knew, the one that never made it into the movies or shows. "To me, these are people that I know," she says of the inspiration for her characters in "The Pineapple Diaries." "These are my friends. These are my cousins. These are my family members. I know these people. And all I have to do is tell their story." It's the idiosyncratic yet playful ways that she tells those stories that makes "The Pineapple Diaries" so charming. She likens it to a homemade Dominican "Seinfeld" set in Boston. Heading into its third season this year, the show has received praise from the likes of Boston-raised Diane Guerrero ("Orange is the New Black" and "Jane the Virgin"). For Valenzuela, "The Pineapple Diaries" is a singularly Boston show. "To me the show doesn't live anywhere else. 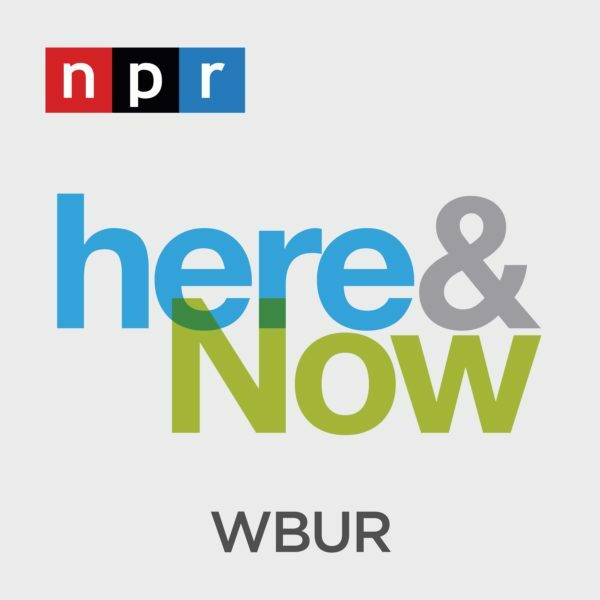 The show is a Boston show and that's what it will always be." When 4-year-old Ngọc-Trân Vũ, her parents, and four siblings came to the United States as part of a humanitarian program in 1992, they packed everything they could take in one red suitcase. Whatever didn’t fit stayed in Vietnam. A family of seven's whole life in one little suitcase. Then came another challenge: Her parents had to navigate an unknown school system, find housing, learn the language, build a community. They did all that and Trân grew up as what she calls a "1.5-generation Vietnamese American" in Dorchester. By day, she serves as the program director for AIR, the Association of Independents in Radio, advocating for public media producers. The rest of the time, she’s a socially engaged multimedia artist. Trân's artwork is rooted in community organizing and storytelling. 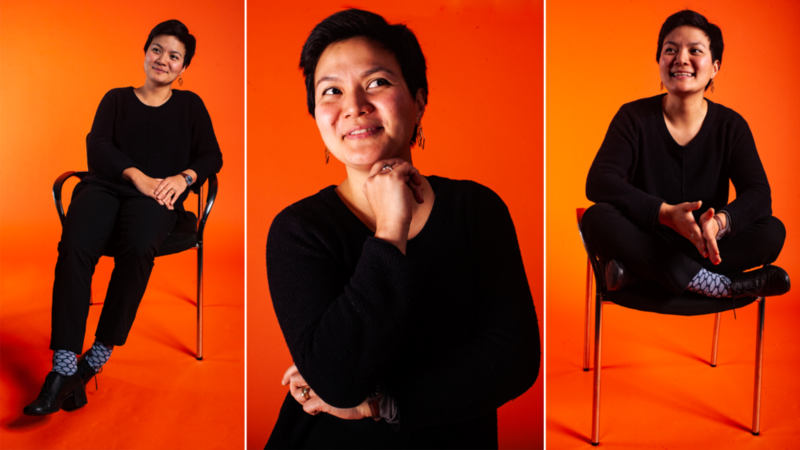 One of her latest projects brought together people of varying ages to tell their stories and unpack "intergenerational narratives within the Vietnamese family and community in Dorchester." This insistence on intergenerational connection and utilizing art as a form of community building is present in all of her projects. Currently, she serves as cultural organizer as part of the Stable Ground residency, which works with community organizers around anti-displacement efforts in Dorchester's working class neighborhoods. 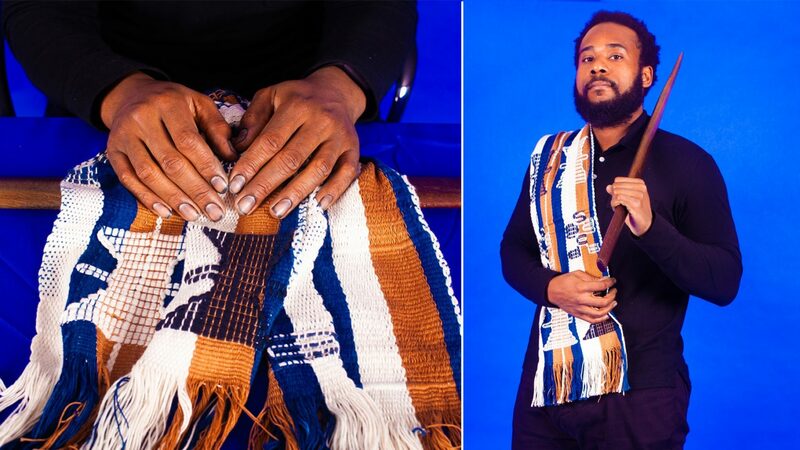 Visual artist Stephen Hamilton wants to "pay homage to Black hands." His ambitious 2018 multimedia installation "The Founders Project," part of Now + There's Public Art Accelerator program, re-framed Boston public high school students as African royalty. The portraits combine rigorous and traditional pre-colonial African techniques with Hamilton's more Western-influenced acrylic figurative painting. The result is a rare and arresting amalgamation of artistic genres that at once feels time-honored and relevant. Hamilton grew up in Roxbury, seeing images of Black Bostonians in his neighborhood's murals. "From an early age, art — especially visual art — for me symbolized generosity of love and of community. Art was an act of giving." His artistic practice is rooted in this idea of generosity. Hamilton teaches workshops for Black youth on creating art as ritual. He seeks to explore African aesthetics beyond the white gaze, paying equal attention to the process of creating as the end product. There’s also an exacting specificity in Hamilton’s process. He employs materials available to particular ethnic groups in pre-colonial Africa, making for a time-consuming creative process. He utilizes cloth, wood-carving, natural pigment, hand-dyeing and weaving. Beyond the craft, Hamilton’s work is sustained by a thoughtful framework rooted in West African ontology, exploring ideas of “mystic coolness,” a tenet of 15th century Yoruba and Igbo civilizations. This idea of coolness, central to Black thought, Hamilton says, is characterized by a graceful disposition, a generosity of spirit, an ability to diffuse conflict. This ontology informs Hamilton’s artistic practice and his creative ethos. He’s a giving artist. 2018 was a seminal year for Catherine Morris. She executed a long-held, ambitious dream: a new music festival that centered Black artistry. As the founder, curator and executive director of the Boston Art & Music Soul Festival, better known as BAMS Fest, she oversaw the new festival's lineup, its financial success and its community engagement. This summer, BAMS Fest will be back at Franklin Park with 19 artists and two stages. In the first year, Morris says they had to extend the artist application deadline to deepen the pool of artists. This year, hundreds of artists from across the country are vying for one of the coveted spots at the fest — a testament to the execution of Morris’ vision for the first BAMS Fest. Inspired by the legacy of Elma Lewis, a mid-20th century Black activist and artist in Roxbury, Morris is on a mission to reactivate Franklin Park as a place for conviviality and community joy. She envisions a long-term sustainable music fest at the park that breaks racial and socio-economic barriers. 2018 also saw Morris chart new terrain when she became the manager of public programs for the Isabella Stewart Gardner Museum. She brings a fresh perspective of grassroots, community arts programming into one of Boston’s foremost cultural institutions. But perhaps what make Morris so memorable is her untiring love for Boston. Her creative pursuits are all firmly rooted in an ambition to make her city more inclusive and vibrant. BAMS Fest, she says, was inspired by a similar festival in Philadelphia. “How is it possible that my Boston doesn’t have a festival that celebrates the diversity of its people,” she asks. Morris’ work in activating Franklin Park with enriching artistic programming extends the rich cultural lineage of Black Bostonians utilizing the space for community building. Morris might be the next Elma Lewis. 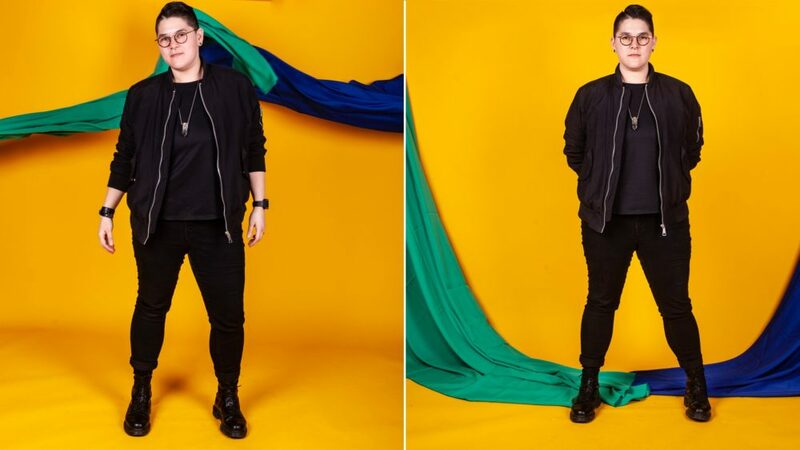 Raised in Texas by Mexican immigrant parents, Ana Masacote was a shy kid who was often bullied, first for being socially awkward, she says, and later for coming out as a queer woman. Her first job was as a housekeeper with her mother — work she says she's still proud of. Valedictorian of her high school, she worked hard to make it to MIT. In college, she had a change of heart. She lost interest in Electrical Engineering and Computer Science and pursued professional dance instead. That risk has paid off. If you're interested at all in dance, chances are you've run into Masacote or heard about Masacote Entertainment. She co-founded the Afro-Latin dance company and school more than 15 years ago. Recently, Masacote has significantly expanded her work into a more philanthropic and explicitly community-centered role. "My life's work is about making it easier for everyone else. About making the pathway easier for other Latinas like me, other queer women like me, other women of color like me, other shy people like me," she says. Two years ago, Masacote created "Yo Soy LOLA," a nonprofit initiative that awards scholarships to Latinas pursuing creative fields. Aside from the scholarship, "Yo Soy LOLA" also puts on an annual original performance that concentrates on narratives surrounding Latinas through theater, music, poetry and dance. 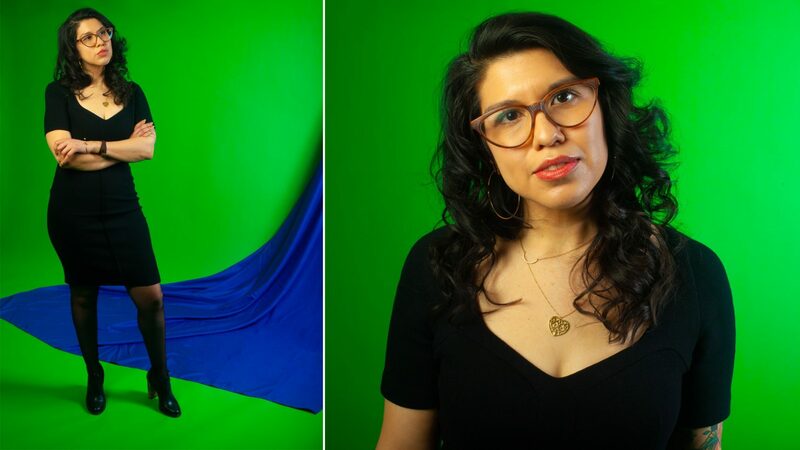 Masacote ultimately seeks to provide a platform for Latinas to tell their own unique stories — stories that often touch on immigration, queerness in the Latinx community and motherhood. In 2019, Masacote also plans to expand DespeloteX, an event series that seeks to make the Afro-Latin dance scene more LGBTQ inclusive. After two years of not releasing new music, singer and songwriter Anjimile was feeling some anxiety. “Around this time last year, I was feeling like I needed to play catch up,” they say. During a break in their semester as a Northeastern University student, Anjimile began recording what would become their “Maker Mixtape” with a friend in West Roxbury. Shortly after, Anjimile was tapped for a residency at the Industry Labs in Cambridge. They recorded their EP “Colors” there, on the second floor of an office building. After three months, “Colors” was complete. “I was really grateful for that space to create music,” Anjimile says. 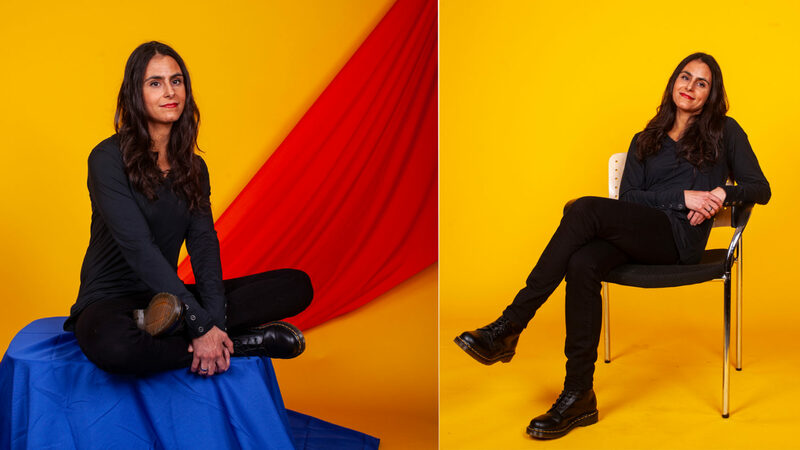 Anjimile described 2018 as being a year of “positive feedback” about their music. 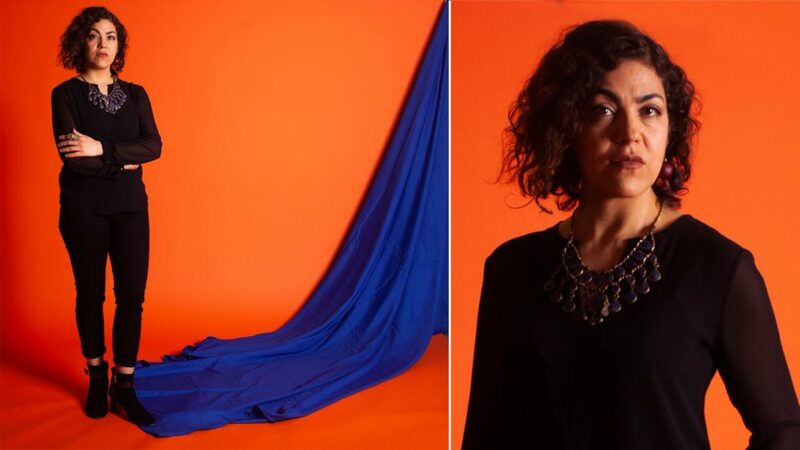 In March, the singer submitted a video of their song “1978,” to NPR Music’s Tiny Desk Contest and though it didn’t win the national contest, “1978” was selected by WBUR’s panel of judges from among the Massachusetts entries. When Kat Nakaji was about 10 years old, they became remarkably proficient in lashing, the practice of building makeshift shelters from ropes and sticks. By the time they were in third grade, they were ready to make an emergency shelter on the spot for their Girl Scouts troupe. That's because Nakaji has always been fascinated with the materiality of creating with their own hands. Perhaps it was because they grew up marveling at their grandmother's prolific quilting or how their mother could miraculously sew a perfect outfit from a workbook. That legacy of tactility has come in handy. Nakaji is the force behind the set of many beloved theatrical productions at the American Repertory Theater. As the former production supervisor for pedagogical programs, they made sure designers and crafters had the resources to execute some of the most creative sets in local theater. They’ve also served as the props master in productions for SpeakEasy Stage Company, Central Square Theater and ArtsEmerson. Now, Nakaji will help forge a major endeavor: the Harvard ArtLab in Allston, a multipurpose space that will hold exhibitions, film screenings, performances and opportunities for artists to connect and experiment. As an extension of Harvard's campus across the river, the ArtLab is meant to be a hub of artistic creation. In contrast, Upchurch feels that this year has been one of knowing how and when to say yes. “It feels like I'm still doing all the things, that I'm saying yes in a more healthy way,” she says. There was a liberation she gained in being able to set boundaries concerning her labor and artistic output. 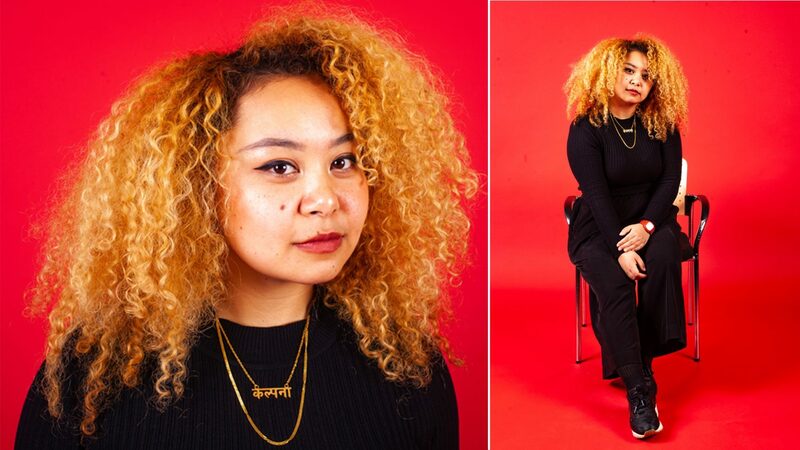 “This is a time where creatives of color are, en masse, liberating themselves from feeling like they have to silence themselves or whitewash their stories,” she says. 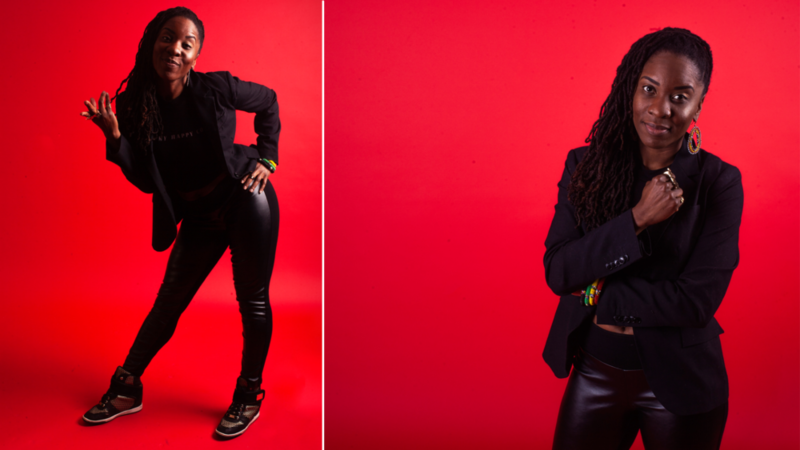 Currently, Upchurch is on faculty at Salem State and Harvard University; at the latter, she leads community cyphers that center hip-hop and African tradition. “I love working with young people,” she says. 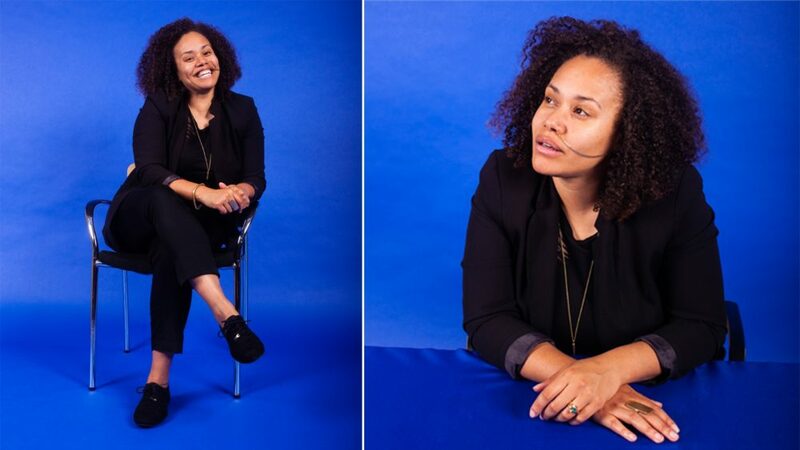 “So I'm having opportunities to still be teaching young people and working with them and having them teach me.” In addition to the cyphers, she launched HipHopEX, a new lab experience that brings high school and graduate students together. Their third annual conference is coming up on April 6. Ayako Maruyama always has design on her mind. Not for design's sake, or even for aesthetics. She thinks about how design could help social justice causes or improve civic life. As the Creativity Lab design lead for The Design Studio for Social Intervention (DS4SI), she helped design the very first Social Emergency Response Center (SERC) in January 2017. Just like communities need places to gather after a natural disaster or physical emergency, they also need places to gather after social emergencies. Bodies and brains have to process trauma and panic. Maruyama and the DS4SI team, including co-founders Kenneth Bailey and Lori Lobenstine, created a space for people to congregate after the 2016 presidential election "to help people understand the moment we’re in, from all different perspectives." The Social Emergency Response Center had to have four things: collective food-making, collective art-making, space for healing and space to plan for the future. Since that first SERC, dozens of other groups around the country and the world have replicated the model, including in the aftermath of Hurricane Harvey. Maruyama and the DS4SI team aim to explore new ways in which "social justice is imagined, developed and deployed here in the United States." The studio and Maruyama also worked on capturing and crystallizing community response for neighborhoods in Go Boston 2030, the city’s sweeping transportation plan for the future. Maruyama is emblematic of artists who operate in unexpected intersections. For her, it’s design and social justice and civic life. Even if you've never met Tim Hall, chances are you've listened to his work. He's part of the HipStory collective. He's co-produced music from some beloved local artists, like Oompa and Cliff Notez. A saxophonist, he's also served as a session musician for acts like STL GLD, Will Dailey and Maria Finkelmeier. Hall jamming out with some of Boston’s leading musicians is a rather common sight. A career services assistant director by day at Berklee College of Music and an independent producer by night, Hall stands as the indispensable piece of a puzzle that makes big creative projects come together. He writes grant proposals and manages the organizational development for HipStory — hardly a glamorous part of the operation, but a very necessary one. Hall represents a marker of the essential, non-external facing work that goes into creating a thriving ecosystem: the behind the scenes advocacy and acumen required to uplift creative endeavors. 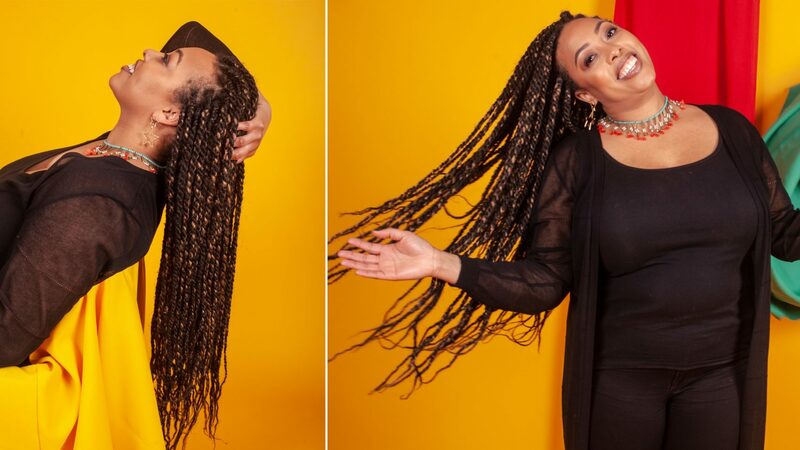 Hall also serves as the program event coordinator for the new Boston Art & Music Soul Festival, or BAMS Fest, the first music festival in Boston that centers on Black artistry. He's the creative that local musicians and grassroots organizations rely on. "I'm connected to so many creative people and projects and I'm happy to elevate the voices of others and amplify their creativity,” Hall says. 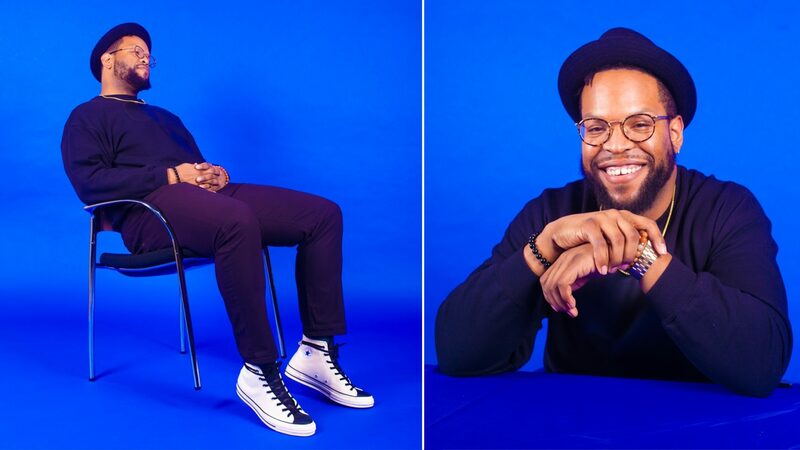 Hall also stands as an artist in his own right, having produced a spoken word album, titled “Colors Of My Soul,” in which he ruminates about the intersection of Blackness and masculinity. Yet, he shines as brightly when he’s erecting the work of others. In 2019, he plans to focus on producing music for other Boston artists. Stereotypes about indigenous art — that it's mainly pottery and baskets — have always confused artist Nia Holley. "We've always adapted and that to me is traditional," the artist who is Black and Nipmuc, says. Her artwork, at once delicate and unyielding, consists of metal work, ceramics and jewelry. She favors the "tactile work," the processes that engage her hands in the act of making. For her latest group exhibit at Lesley University, "Native American Resilience," Holley created jewelry that explored her connection to healing practices passed on by her matriarchal tribe. Picture medicinal plants (many of which Holley harvested herself) held with intricate metal structures. The pieces are meant to be given as gifts to Black and Indigenous women, a gesture to honor traditional Nipmuc ways of life. "My hope is that these gifts reminded them that they deserved to feel free. To live. To do more than survive," Holley says. This longing to live freely and joyfully rather than simply survive remains the impetus for Holley’s artistic work. Gifting her artwork, she says, represents the Nipmuc tradition of ensuring that all members of a community receive what they need. But there is also an understated melancholy in Holley’s objects of beauty. The works were born from grief, she says. "There was never a god for me, just the women in my life. All the work I have created has been for them." Febo believes that there’s more to the artistic process than just the end result. “The process itself is the product,” he says. Over the years, he stopped placing so much emphasis on an end product and focused more on the journey that got him there. It’s allowed him to combine disparate art forms into unique vehicles of expression. “Adobo-Fish-Sauce,” Febo’s newest art performance, created in collaboration with Ricky Orng, is an example of this fusion between poetry, public art and food. Febo hopes to expand “Adobo-Fish-Sauce” in 2019 along with focusing on “Make Art And Cry,” a project that he and his wife are launching in New York in April. “I'm very excited to continue to explore the different ways that poetry can come to life,” he says. “I want to create alternate ways of combining and expressing poetry." What other millennials of color should we be watching in the Boston area? Let us know in the comments below.